Replacement anemometer with mounting base for wireless and cabled Vantage Pro2 weather stations. Rugged components stand up to hurricane-force winds, yet are sensitive to the lightest breeze. 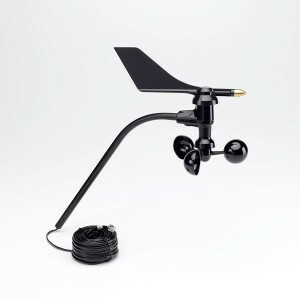 Includes both wind speed and wind direction sensors, mounting hardware, and 12m cable.